The 2018 Speedo Sectionals stop in Austin, Texas for the Southern Zone Championships concluded this evening after finals of the 200-yard IM, 1650-yard freestyle, 50-yard freestyle, and 400-yard medley relay. The University of Denver Hilltoppers’ depth in their men’s team gave them the team title with a total of 798 points, ahead of Colorado Springs Swim Team with 623 points for the runner-up spot. Alexei Sancov and the Terrapins Swim Team took third with 538.5 team points. Sancov won two events during the course of the evening, and earned two best times in the process. The USC commit won the 200 IM in 1:45.85, and the 50 free in 20.27. He also split a 46.76 in his 100 fly in the medley relay. Other highlights included Delaney Smith‘s win in the 200 IM, and Ryan King‘s 15:22.33 mark to win the 1650 freestyle. Delaney Smith of Highlands Ranch Aquatics took the title in the women’s 200-yard IM with a quick 2:01.20, a best time for the UCLA commit by 0.11 since this past February. Second place was a battle between Utah Valley Aquatic Club’s Makayla Cazier, Denver Swim Academy’s Ella Kirschke, and Terrapins Swim Team’s Emily Lo. All were within 0.4 of each other, with Cazier grabbing the bronze in 2:02.52, followed by Kirschke in 2:02.65. Fourth place went to Lo in 2:02.90, while Jolee Liles of Crawfish Aquatics nabbed fifth in 2:03.03. Catherine Wright of Pikes Peak Athletics took sixth in 2:02.23. Miriam Guevara added some time from her prelims time to finish seventh in 2:06.67. 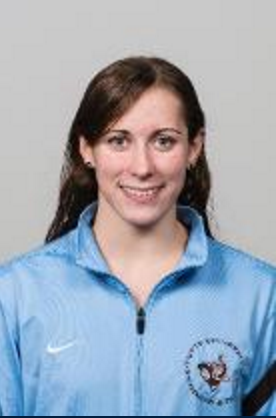 Wright’s teammate Meredith Rees was disqualified in the race, although she had a prelims time that put her second coming into the race. USC-commit and winner of the mid-distance trio Alexei Sancov of Terrapins Swim Team won the men’s 200-yard IM by over three seconds, and in a best time as well. His mark of 1:45.85 was faster than his best time of 1:47.43 from this past December. DU Hilltoppers’ strong performer Will Goodwin finished second in 1:49.10, followed by his teammate Ryan Peterson in 1:50.02. Elijah Warren of Aquawolves Swimming was fourth in 1:50.18 to just edge out 15-year-old Harrison Lierz of Front Range Barracudas, whose time of 1:50.21 was good for fifth. Sixth place went to Brown’s Michael Lincoln, swimming unattached, in 1:50.62. Gavin Olson of Foothills Swim Team earned seventh place in 1:50.75, followed by Blayze Jessen of DU Hilltoppers in 1:51.93. Pikes Peak Athletics’ Clare Sanderson held off Foothills Swim Team’s Kathryn Shanley for the individual title in the women’s 1650-yard freestyle, touching in 16:54.19 to Shanley’s 16:56.66. Both women closed the race in 29-mid. Sanderson dropped almost 19 seconds from her seed time. Alexa Connors of Kingfish Swimming put up a valiant effort on the last stretch, finishing in 28.93, ending up third in 16:58.76. Morgan Simon of Jeffco Hurricanes earned fourth place with her swim of 17:04.97, followed by 14-year-old Melinda Johnson of Foothills Swim Team in 17:13.70 for fifth. Abby Owenby of Denver Swim Academy (17:21.79), Lauren Vilims of Jeffco Hurricanes (17:28.09), and Manna Nelson of Mission Aurora Colorado Swimming (17:29.36) placed sixth, seventh, and eighth in the event, respectively. Ryan King of Montrose Marlins blasted a 15:22.33 for first place in the men’s 1650-yard freestyle, almost 20 seconds ahead of the second-place finisher, Quinton Pierce of Jeffco Hurricanes. The 17-year-old went out in 4:36.14 and a 9:16.57 1000 to put up a best time by about six seconds. Pierce finished in 15:41.01 for the silver, while Highlands Ranch distance freestyler Dominic Griffin earned the bronze in 15:52.00. Robert Mitchell of Terrapins Swim Team finished in 16:04.53 to earn fourth-place honors, while Connor White of El Paso Aqua Posse was close behind in 16:05.03 for fifth. Tristan McFarland of DU Hilltoppers dropped over 20 seconds from his seed time to finish sixth in 16:09.43, followed by 15-year-old Tanner Nelson of Utah Valley Aquatic Club in 16:09.66 for seventh. Charles Burrough of Highlands Ranch Aquatics finished eighth in 16:10.36. Terrapins Swim Team’s Jessica Larson sprinted to a quick 22.87 to win the women’s 5-yard freestyle, as the only competitor under 23-flat. Anna Shaw of DU Hilltoppers just beat out Rees in a 23.22 to Rees’s 23.26. Fourth place went to Kylie Andrews of Foothills Swim Team in 23.32. 15-year-old Anastasia Fleming of Austin Trinity Aquatic Club earned fifth place honors with her mark of 23.46. Teammates of Team Vortex Emily Barrier and Meredith Smithbaker were 0.01 apart for xisth and seventh place, with Barrier touching in 23.53 for sixth to Smithbaker’s 23.54. Kyanh Truong of Western Hills Athletic Club earned eighth place in 24.04. Sancov won his second event of the night, the men’s 50-yard freestyle, in a blistering 20.27. That is a best time for him by 0.02 from last March. He touched ahead of Kyle Leach of Colorado Springs Swimming, who stopped the clock in 20.58 for second place. Third place went to Andrew Trepanier of South Metro Storm in 20.64. Warren finished fourth in 20.81. Michael Foley of Franco’s Fins earned fifth place with a drop of 0.20 from prelims to finish in 20.86, followed by Peterson in 21.03 for sixth. South Metro Storm’s Brady Torborg earned seventh-place honors with his time of 21.38, while Seth Hendrix of DU Hilltoppers finished in 21.89 for eighth. Colorado Springs Swimming and Highlands Ranch Aquatics battled it out in the women’s 400-yard medley relay. Colorado Springs’ team of Ana Rojas, Edenna Chen, Allana Clarke, and Lainee Jones earned the win in 3:42.71, bolstered by Chen’s 1:00.88 breaststroke leg. Natalie Arky, Holley Dennis, Elsa Litteken, and Delaney Smith combined for a second-place time of 3:42.97, with Smith splitting a 49.93 on the anchor freestyle leg. Sydney Silver, Sophia Bradac, Jenna Smith, and Anna Shaw earned bronze for DU Hilltoppers, although Smith looks to have just barely left early by 0.03 on the fly leg. Nonetheless, their time of 3:46.89 was good for third. Highlands Ranch B-team earned fourth in 3:48.90, followed by Pikes Peak Athletics in 3:49.02. Kingfish Swimming put up a mark of 3:50.01 for sixth. Terrapins Swim Team (3:50.46) and Foothills Swim Team (3:50.65) also placed in the top eight of relay teams. Gennady Sytnik, Michael Dulay, Sancov, and Andrew Rodriguez combined for a time of 3:20.63 to earn the gold for Terrapins Swim Team, led by Sancov’s 46.76 butterfly split. DU Hilltoppers’ team of Alex Bruce, Goodwin, Hendrix, and Peterson were just behind in 3:21.10 for the silver, followed by Olson, Jack Moranetz, Payton Sage, and William Chavez for Foothills Swim Team in 3:23.88 for third. Colorado Springs’ A-team earned fourth in 3:24.48 thanks to a 43.82 split from Leach, ahead of South Metro Storm in 3:25.96 for fifth. Aquawolves Swimming earned sixth place with their time of 3:28.29, followed by Front Range Barracudas in 3:30.27 for seventh place and Crawfish Aquatic Club in 3:30.61 for eighth.